We sat down with John D’Arcy, deputy director at Western Academy of Beijing (WAB), about what sort of innovative education techniques are being implemented at (WAB). Little did we know just how passionate he was on this topic. Soon after getting settled in for the chat, we pressed record and listened as his ideas just poured out for nine straight minutes, uninterrupted. He started it all off by putting things into perspective for us by introducing the current sphere of education, and why it’s been so slow in adapting to the needs of today. So here it is, your comprehensive introduction to some of the major ideas and concerns that are laying the current foundation for the next wave of trends in innovative education. 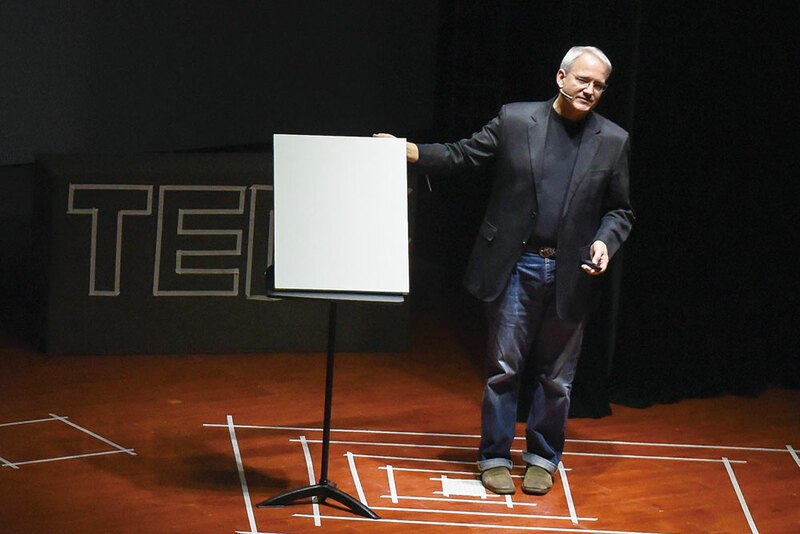 John D’Arcy, speaking at TEDxYouth talk at WAB in April 2017. John D’Arcy: In some ways what’s happening in education happened in most other industries 20 or 30 years ago. As technology impacted our lives, people were expected to lead their own learning for their jobs, and nobody was going to tell you how or what to do, so you needed to just create it. That’s the nature of work now. With education, we’ve been able to avoid that disruption that has happened in most other industries because we are working with pretty precious cargo, our students, and it’s important not to just adopt fads or things that look good to push the institution of learning faster than it has the capacity to handle. So we’ve been slower. But now it’s here, and teachers, schools are no longer really in a comfortable place to say we’re not going to change. We’re not going to innovate. Parents are expecting it, kids are expecting it, and teachers of quality are expecting it. So it behooves us to do so. 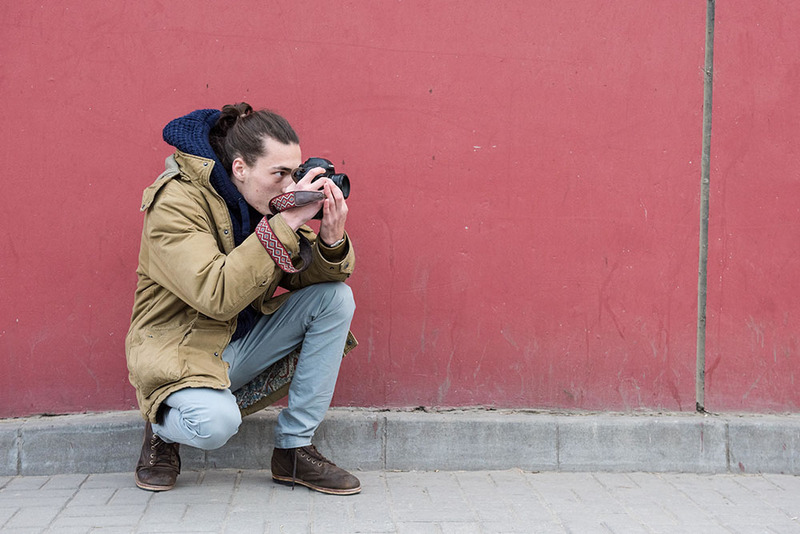 The great thing about WAB and probably some other schools in Beijing is that we actually like it. We are really excited about it. We started asking parents, students, teachers, our board, how can we better realize our mission of core values, and how can we better prepare our kids today to be more successful in the future? So we went to all the stakeholder groups and got all this feedback, and what was interesting but not surprising in hindsight is that they kind of had the same beliefs. This is that we want our students to be capable. We want them to be engaged, knowledgeable, and skillful, but not at the expense of their holistic development, not at the expense of them becoming people who can make the world a better place, and not at the expense of them being people who care. We aren’t just going to drive towards high grades at the expense of developing kids who are not holistically well-balanced. We want to create a school that suits the needs of every single learner, but what does that look like? Currently, many schools as you know, aren’t designed for every single learner. They’re designed for the average 8-year-old or the average 15-year-old, and that has always been a broken model. It has always rewarded kids who learn more quickly, and by Friday who gets it. Those kids who don’t fully comprehend, it doesn’t matter because they are starting the new thing on Monday. What we’ve had so far is an organization of education where kids have been moved up through the model having only partially completed knowledge development. So they move forward on partial knowledge, and then they begin to develop a belief system about themselves as learners, believing things like I’m not good at math, I’m not good a drawing, I’m not good at writing. We have institutions of learning that have developed in many people the belief that they’re not good at stuff, as much as they’ve developed the capacity for what they’re good at. I think the conversation now in education is how tragic it is that we who pride ourselves in learning have developed people who don’t believe they’re good at what they’re doing. So we need to change that so that it’s no longer about whoever learns it best by “Friday” is going to get the best score, because we know from research that sometimes the kids who struggle the most with the learning actually get it better, and the kids who it comes to easily forget it more quickly. Realizing that learning is messier than this concept of whoever gets it on “Friday,” we decided that we need to change it up so that “Friday” is no longer what we’re using to measure kids. What we’re saying is, what do you need today. For example, you all need to learn how to read, you all need to learn how to write, we need numeracy, and what do you need to get there? We also should recognize that we all need something different because each of our brains are as different as our faces and they learn differently. It’s not about making sure you meet the curriculum and then judging you against this curriculum; it’s making sure we know who you are as a learner so that you can be successful with the curriculum. It’s a huge mind shift. So how do schools work then if it really becomes about individual learning? Schools have been talking about a thing called differentiation for a while now, and so the idea is in your classroom you need to differentiate between groups of kids. The reality is we struggle with it. Teachers struggle with doing that really effectively because still “Friday” is the test day and it’s really hard for a teacher to manage 20 kids and differentiate to meet all of their needs. So we need to come up with an educational system that allows kids to have access to the resources that they need, to get the content they need, and to develop the skills that they need. In many places, in the 70s open classroom spaces were supposed to fix education, and it didn’t work. What happened was teachers just started getting plants, bookshelves, and sofas and dividing up their spaces. Because all they did was change the space, but not the relationship of teachers to the learning or the kid’s ownership of the content, it didn’t work. They didn’t change the curriculum, and they didn’t change how people were organized. They didn’t change the expectation of what school was. All they did was change the space. Some people have changed the curriculum, but they haven’t changed the space, or some have changed what the notion of teaching is but none of the other things. At WAB what we’re doing is we recognize that it’s a whole ecosystem. We work within the features of our spaces, our time, physical spaces, our curriculum, our assessment practices. They’re all the features of our ecosystem. All of them have to be redesigned if we’re going to be successful. So our work leads us to engage everyone in the community, parents, students, teachers, board members, in moving this massive thing forward, so that it all stays aligned, so it’s all in sync, and it better meets the needs of every single student. After we had picked our jaws up from the floor following this illuminating talk, we had a much better understanding of what was in the pipeline for WAB, and any other school that wanted to remain relevant throughout the 21st century. Whether it were things that WAB are currently in the process of implementing or trends in innovative education that are bound to happen, D’Arcy had a lot to say on the subject. That being said, changes like this are a lengthy process and these shifts in innovating sometimes come slowly. We felt this transcript was a worthwhile window into the mind of someone who is a big proponent of these changes and drumming up the support necessary to enact these concepts, in big and small ways, steadily throughout the WAB curriculum. 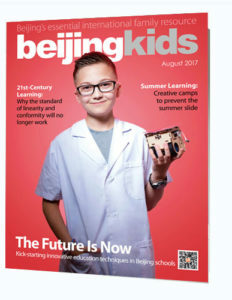 This article originally appeared on p 50-51 of beijingkids August 2017 issue.